HONG KONG — China's auto market had a bumper year in 2016 as sales grew by 15 percent, with drivers rushing to buy cars before a tax break expired at the end of the year. 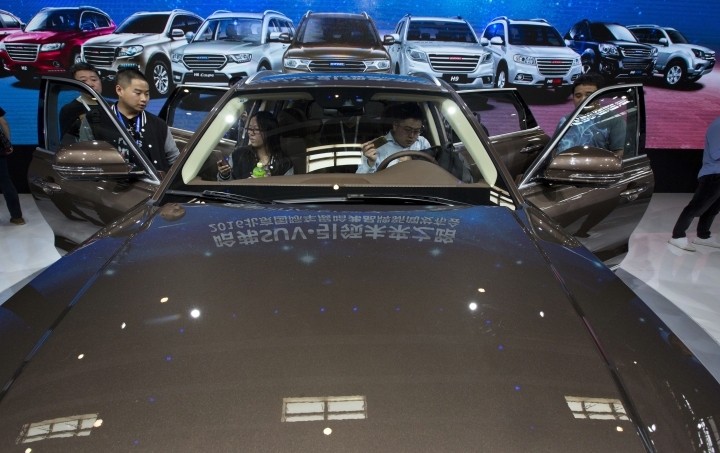 The data released Thursday showed that automakers sold 24.4 million cars, minivans and sport-utility vehicles in China. Booming sales, driven by strong demand for SUVs, were helped by the Chinese government's cut in the sales tax. However, the rebate ended on Dec. 31, and industry analysts predict sales growth will cool in 2017. Numbers from the China Association of Automobile Manufacturers showed that passenger car sales rose 9.1 percent in December to 2.7 million. Sales of Chinese brands grew 21 percent to 1.26 million last month, siphoning off market share from German and Japanese brands, the association said. Total vehicle sales in 2016, including trucks and buses, expanded nearly 14 percent to 28.1 million. Sales of Chinese SUVs jumped 58 percent to 5.27 million for the year, accounting for about half of all domestic-brand auto sales. The U.S. auto giant and its joint venture partners sold a record 3.87 million vehicles in China in 2016, up 7.1 percent from 2015. China is the company's biggest market and accounts for more than a third of its global sales. Ford and its two local partners say sales rose 14 percent to a record 1.27 million vehicles. Demand for the Lincoln brand — a relatively new arrival — was particularly strong, with sales surging 180 percent to 32,558 vehicles. The German brand delivered 3.98 million vehicles in Greater China, a region that also includes Hong Kong. Audi's sales climbed 3.6 percent to 591,600 while Porsche deliveries grew 12 percent to 65,200. 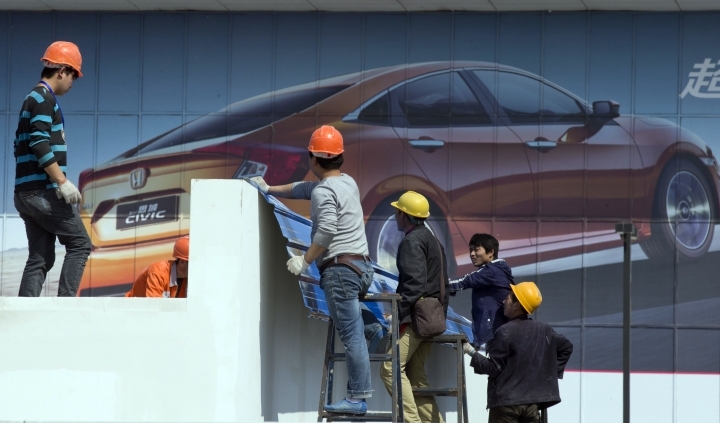 Sales of China's biggest privately owned car brand soared 49 percent to 760,000. December sales doubled from the year-ago period to 108,230, the second straight month that sales exceeded 100,000.